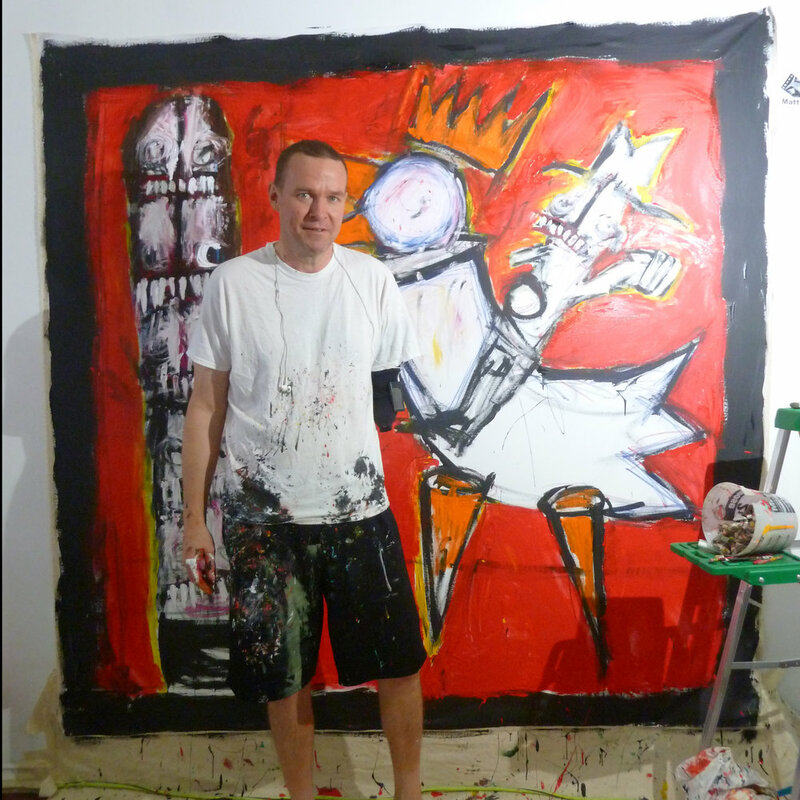 This fall, Silo118 and the Squire Foundation welcomed painter Matt Sesow to Santa Barbara for a residency and solo show. 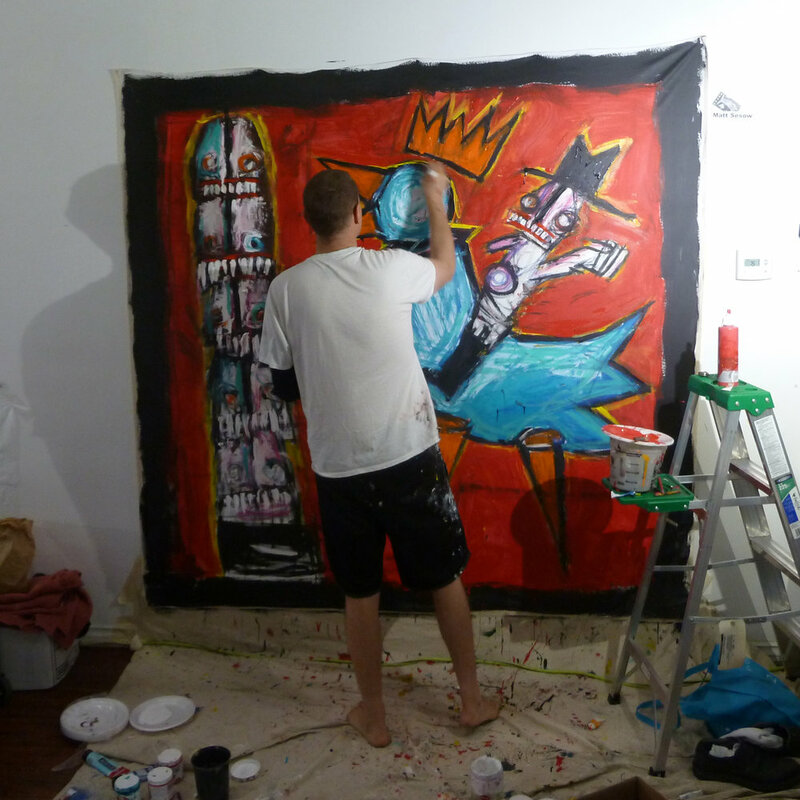 Sesow is a well-known and beloved artist in the DC area, and he has traveled and painted all over the world. He is an extremely prolific painter - during his three weeks in Santa Barbara, he completed over 200 pieces. We were fortunate enough to watch him at work during our live painting event "A Window to the Arts," where he created a 7-foot square painting in about six hours. While he doesn’t always feel comfortable with the designation “disability”, it is often applied to him - he lost his left arm in an accident when he was eight. He was a high achiever in elementary school, high school and in college. After college he did software testing for IBM, until he decided that he needed to follow his heart, and make art. He was not trained in making art; he is largely self-taught. In the early years he poured his heart into his work. Painting helped him express inner feelings about his disability/accident. In 2016-2017, Sesow had a year-long solo show at the American Visionary Art Museum in Baltimore, one of Baltimore’s best-loved showcases. The museum houses 25 of Sesow’s pieces in their permanent collection. In 2013 he was invited by the U.N to create a stamp as part of a group of artists with disabilities, including Chuck Close. 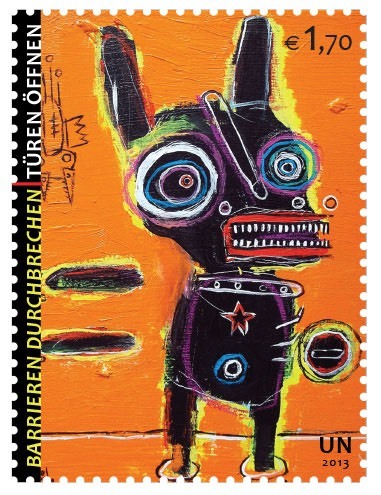 The stamp was issued on September 20 at a ceremony in NYC. He enjoys that people of all economic strata are able to purchase one of his original pieces. To that end his extremely large body of work encompasses a price range from $30 to $1000, many more at the lower end of the spectrum.